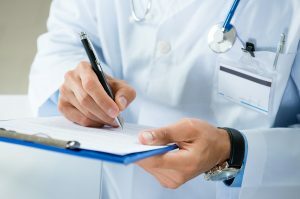 When you require STD treatment, there’s no need to wait days or even weeks for an appointment with your primary care physician in The Woodlands, TX. Davam Urgent Care offers treatment from board-certified physicians with no appointment required. Our office is open every day of the week from 8 a.m. to 9 p.m., which allows you to get the care you require without having to adjust your busy schedule. We offer in-house diagnostic services, such as blood tests and urinalysis, so you may be able to receive a diagnosis and treatment in one location. We accept most insurance plans and offer affordable self-pay options for uninsured patients. More often than not, there is little to no wait time, so you won’t have to lose a large portion of your day to receive treatment. As the area’s premier health clinic, Davam Urgent Care can provide much more than STD treatment. In fact, we can provide care for nearly any non-life-threatening injury or illness. Patients of all ages visit us to receive treatment for allergic reactions, flu, sinus infections, insect bites, lacerations, bone fractures, and more. We also offer general medical services, including but not limited to physical exams for work and school, hearing tests, and B-12 injections. For STD treatment or care for any other non-emergency medical condition, visit Davam Urgent Care today. To potentially save time at our clinic, you can sign in now using our online check-in system.